The fact that asbestos is such a durable product seems great in theory, but its strength is also the thing that causes it to be extremely dangerous. 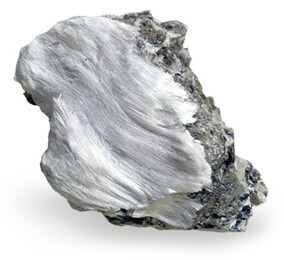 Asbestos fibers are very small, hard to detect, and easy to mistakenly inhale. Once inhaled, the fibers rarely leave the body, and because they are so strong, they never dissolve. After exposure, it takes anywhere between 20-40 years for mesothelioma to develop. Roughly 3,000 people in the United States are diagnosed with the disease each year. Life expectancy varies depending on the type of mesothelioma developed but typically falls within the range of 12-22 months after diagnosis. Asbestos is no longer mined in the states and its use has significantly declined. However, the U.S still legally imports, utilizes and sells asbestos and products made with this potentially deadly substance. These facts make it extremely important that Americans are aware of asbestos, its use and how they can be exposed.